According to annual statistics released by Marketing English in Ireland, enrolments increased 11% reaching 119,119 students in 2016 up from 2015’s 107,129. Half of enrolments were junior students from EU countries, led in volume by Italy and Spain. The junior sector specifically saw a 28% increase in student numbers to almost 63,000 students, while adult programs had a slight 1% drop to 56,189. MEI credited the growth to a large increase in numbers of EU students from Italy, Austria and Spain and the addition of three more member schools to the organisation. David O’Grady, CEO of Marketing English in Ireland, said in a statement the growth is “hugely significant” as it “comes on the back of strong growth in 2015 also”. In 2015, ELT schools saw an 8% increase in enrolments after a downturn in 2014. The strong British pound throughout much of 2016 also contributed to the boost in numbers, said O’Grady. “If you drill down you’ll see the increase has been in EU students and juniors and that’s the segment most vulnerable to competition from the UK and sterling,” he told The PIE News. Overall student weeks in 2016 dropped 3% despite 12% growth in juniors to 107,793 weeks. The growth was offset by a 6% decline in adult program weeks, driven mostly by a 26% drop in non-EU visa requiring countries. For both adults and juniors, the average length of stay was 5.3 weeks. But broken down by source markets, students coming to Ireland from EU countries stayed for 2.5 weeks while students from outside the EU who are not required to have a visa, stayed on average 18 weeks. Students who are required to have a visa stayed for just 10 weeks. The biggest provider of adult student weeks was Brazil, a country where students aren’t required to have a visa for study in Ireland. Other non-visa countries include Korea and Japan. 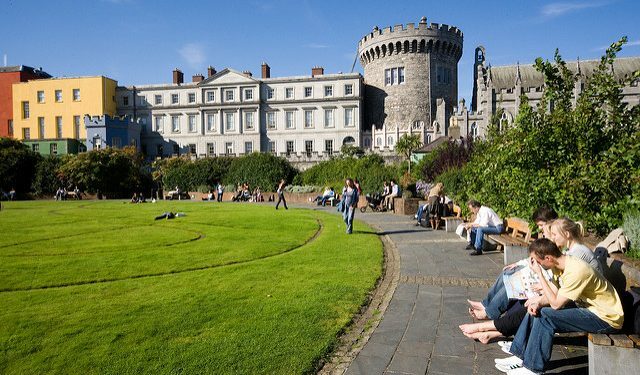 Ireland’s ELT sector is worth €762m annually and was recently set the target of increasing enrolments 25% by 2020 in the country’s international education strategy. But with more than three quarters (78%) of students coming from EU countries, O’Grady said it is crucial the government work the industry to find new markets outside of Europe. MEI represents 65 members schools and colleges across Ireland. « Weekly poll: are you getting the new Sony Xperia XZs?